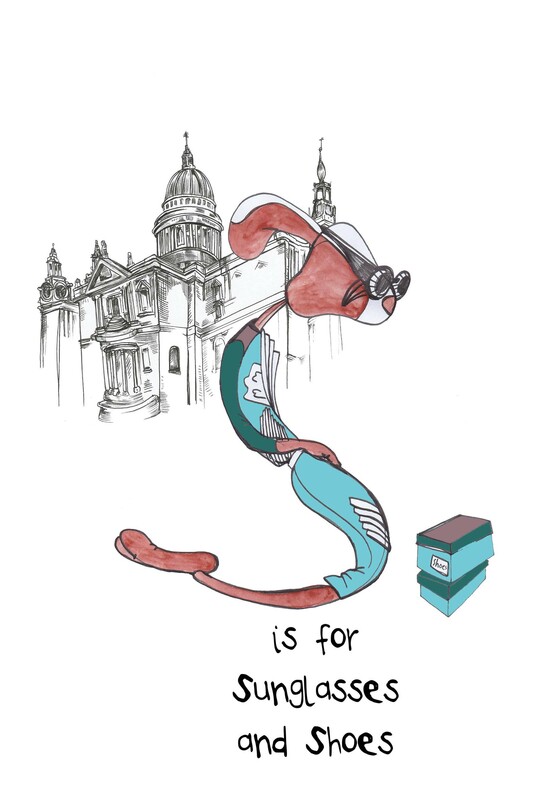 Meet the ridiculously named Fashion B’ (real name Gertrude) and her sidekick Little Pap as they take us on an alphabetic fashion tour around their favorite London sights, shops and fashion spots. Posing in an A-line dress for the letter A, ‘Fashion B’ then forms the letter B whilst wearing a Belt, standing on a Bag on top of a London Bus in front of Big Ben (yes that is a lot of B). 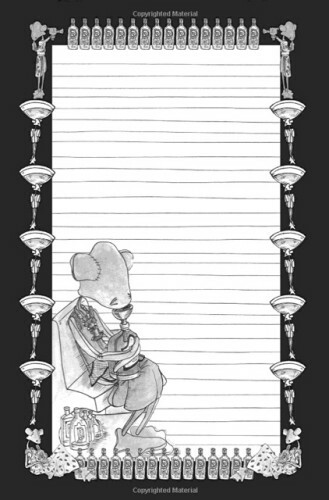 After B comes C obviously. 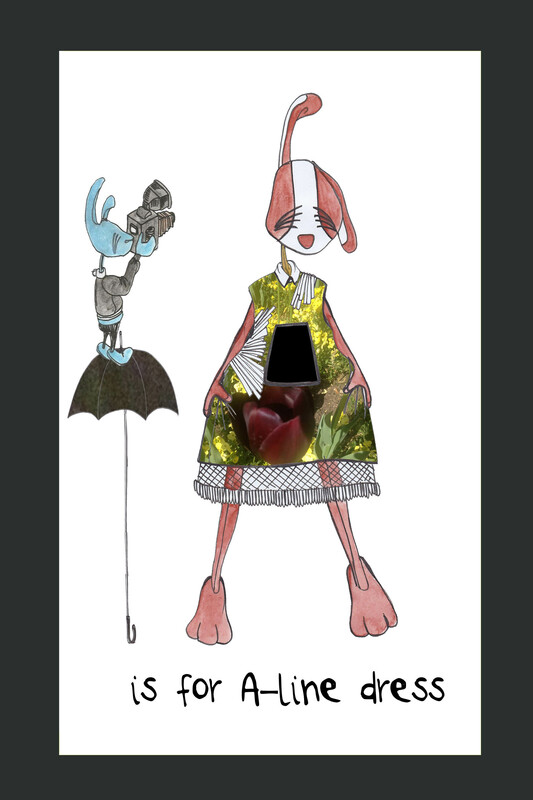 ‘Fashion B’ poses as C in a corset/coat combo in front of Central Saint Martins College of Art and Design hoping to discover the next big fashion star and gets Ruffled posing as the letter R in front of the Royal College of Art. Maude regales us with her recounting of how she was looking to add some ‘gritty glamour’ to MAUDEZINE’s December issue, so sent Mildred (the peculiar penguin who see’s people as dresses) to find the perfect setting to create an ‘urban Christmas extravaganza’ along the way she dresses up as fashion icons, meets some odd new friends (who she accidentally makes homeless) including , Franc and his pet shoe and Beryl the badger and her argumentative taxidermied mother. 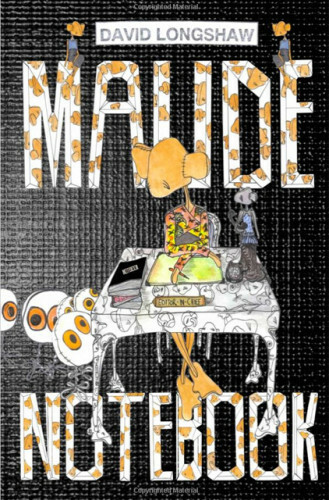 Maude Notebook. A black and white interior Notebook for you to write and scribble in, staring fashion fabric mouse Maude, star of Fashion Designer and illustrator David Longshaw’s Maude and Doris series. 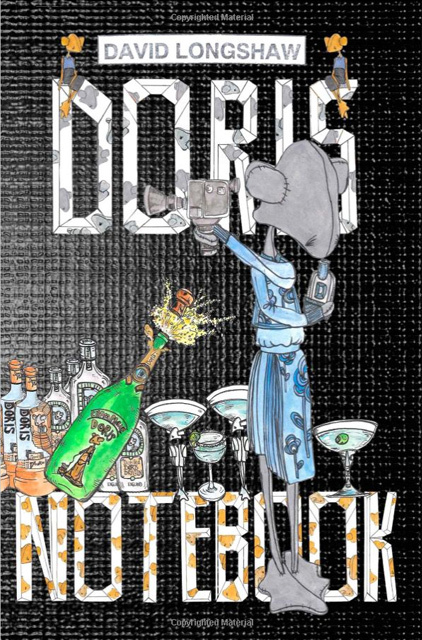 Doris Notebook. 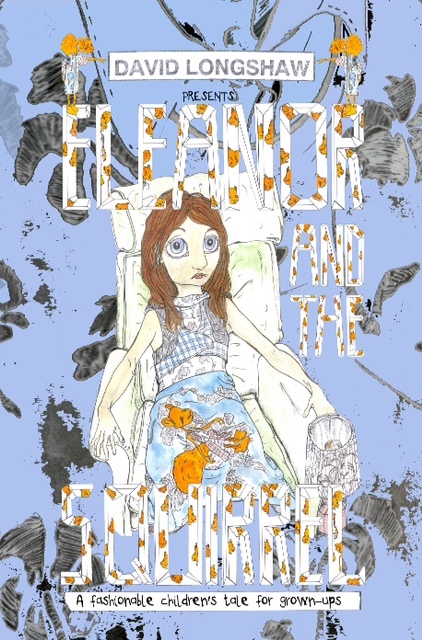 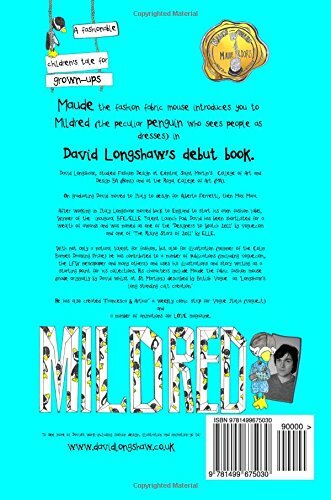 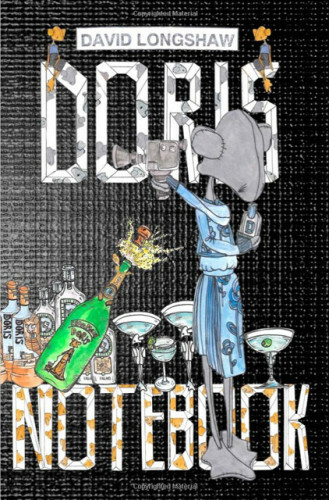 A Notebook for you to write and scribble in, staring booze loving fashion fabric mouse Doris, star of Fashion Designer and illustrator David Longshaw’s Maude and Doris series. 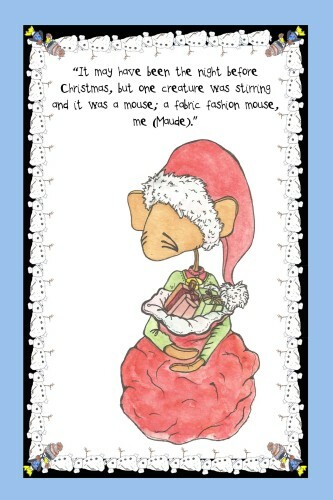 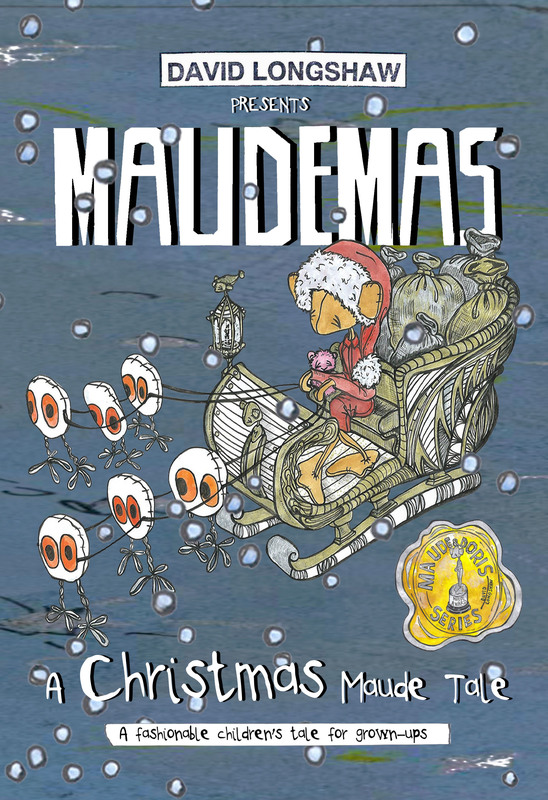 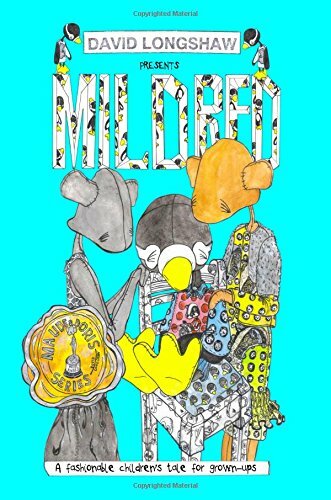 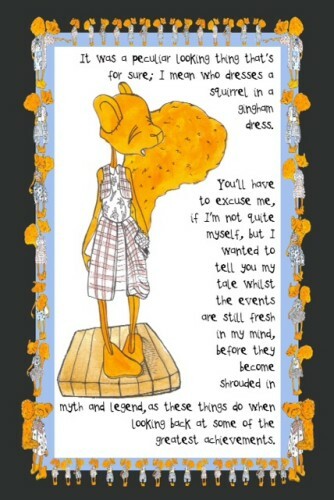 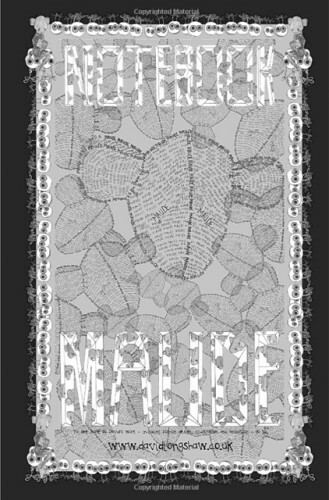 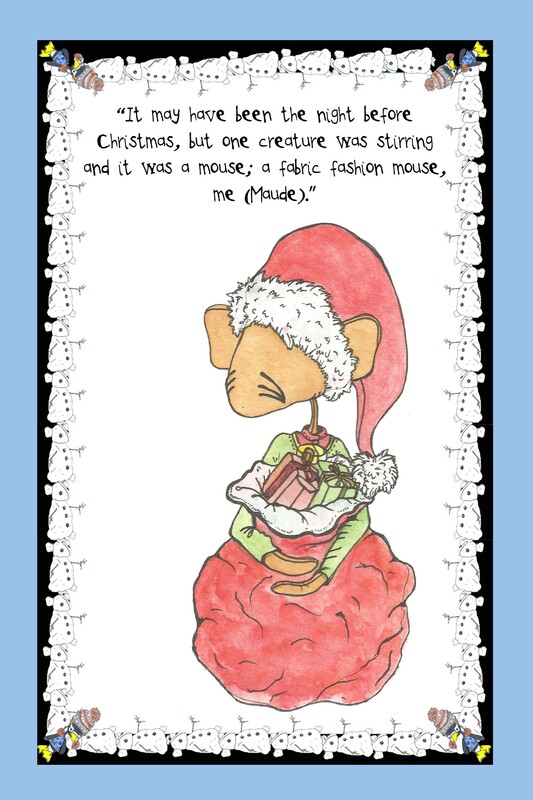 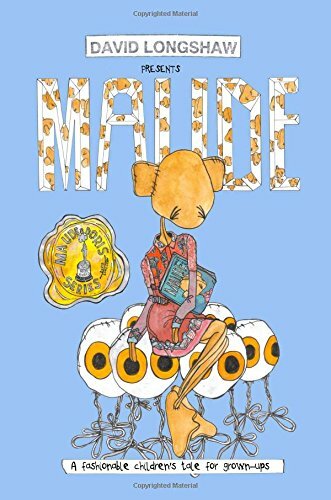 Maude the fashion fabric mouse tell’s the tale of how she met Mildred the peculiar penguin who sees people as dresses. 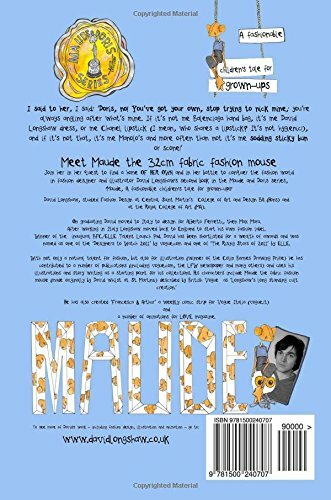 Maude talks of ‘her journey’ from fashion accessory, to the fashion icon she is today (or rather that she believes herself to be…..) whilst fending off Doris’s attempts to pinch her sticky bun.